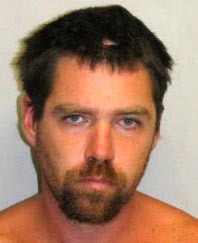 Big Island police arrested a 34-year-old Puna man over the weekend and charged him with assault. On Sunday (March 20), Detectives from the Area I Criminal Investigations Section charged Erik Thomas Nelson of Pahoa with first-degree assault. His bail was set at $25,000. The charge stemmed from an incident reported to police on Saturday (March 19). Nelson reportedly assaulted a 38-year-old woman in her Mountain View home. The victim sustained severe facial injuries and was initially taken to Hilo Medical Center in critical condition. She was later transferred to The Queen’s Medical Center on Oahu and listed in stable condition. Nelson was held at the Hilo police cellblock until his initial court appearance Monday (March 21).